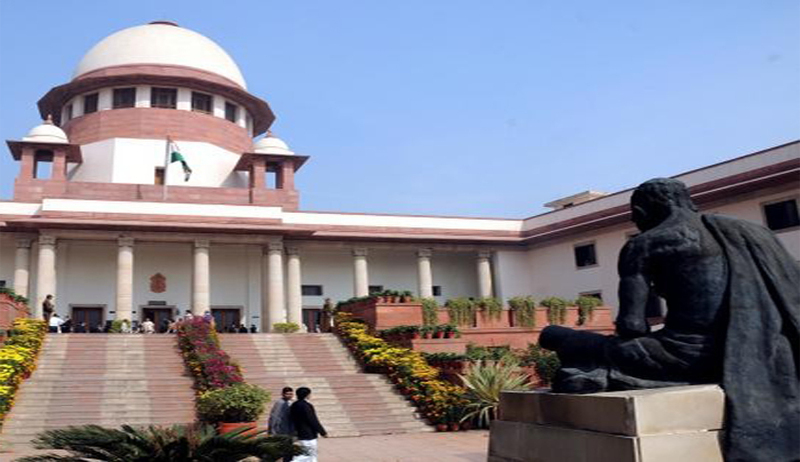 Supreme Court Tuesday reprimanded the government for its lethargic attitude towards the compliance of July 2011 order directing center to disclose the names of Indians who have stashed away money in foreign banks located in Liechtenstein. The court was in search of a person to be appointed as chairman of the SIT after it took on record two communications sent by Justice B.P. Jeevan Reddy expressing his inability to function as the SIT head. While asking both parties, Ram Jethmalani and Mohan Parasaran, to suggest a common name to be appointed as chairman of the SIT the Bench comprising of Justice H.L. Dattu, Justice Ranjana Prakash Desai and Justice Madan B. Lokur said that the government has used the shield of review petition to put in cold storage the directions of the court issued July 4, 2011 and described the centre’s conduct as “contemptuous”. Solicitor General Mohan Parasaran's submitted that four directions of July 2011 order had to be read in conjunction and not separately. Rejecting the plea of Solicitor General Parasaran that the first direction could not be read without the direction that provides for a Special Investigation Team (SIT), the court said the use of word "forthwith" itself says that the information secured from Germany has to be provided to Jethmalani and others immediately without waiting for any other outcome. "This order was passed in 2011. In the name of the review petition, you (government) don't carry out our orders. This is nothing but contempt of court," Justice Dattu said. The court made it clear that at no stage, the operation of July 2011 was stayed and it was incumbent upon the government to continue with the investigation. Saying there was no ambiguity in the four directions issued by the court July 4, 2011, the bench said each of the directions had to be seen independently and not together. Adjourning the matter till April 29, the court directed Solicitor General Parasaran to take instructions from the government on what it intends to do for complying with the directions of the court without waiting for the SIT coming into existence. Further court asked both sides to ascertain whether Justice M.B. Shah - the vice chairman of the SIT - would like to step into the shoes of Justice Reddy.